Last week, I had my first school-age program of the summer: a Mad Science program about caves. I won't lie; I was pretty nervous going into this program. It was held the first week of our summer programs, so attendance was pretty big. And as I was planning for the program, several of the activities I thought I would do did not turn out so well on my trial run. I was worried I didn't have enough planned to fill the time. I started off by asking the kids who had been to a cave before and what they had noticed about the cave. They told me it was dark, cool, wet... some caves were large, some were narrow, some had stalactites or stalagmites. This was a great chance for me to plug our Summer Reading Club because one of our prizes for finishers is a pass to one of our local caves! I had put together a short Prezi with a few items that I wanted to talk to the kids about. First we talked about different kinds of caves - sea caves, lava caves, ice caves, and (the ones we have around here) limestone caves. I used the Prezi to show photos and we talked about how each type of cave was formed. 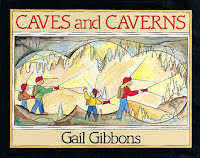 I used the book Caves and Caverns by Gail Gibbons for concise explanations about how each type of cave is formed. Talking about how limestone caves form lead into the subject of stalactites and stalagmites. I was planning on showing the kids a model of stalactites and stalagmites that they could do at home. This was one of the activities suggested in the CSLP "Dig Into Reading" manual. Well, it must take a long time for it to work or perhaps I didn't use the right kind of string because I couldn't get stalactites or stalagmites to grow for the life of me! SO instead, I showed a clip from Bill Nye the Science Guy's caves episodes. Hold on, I have to stop a minute here and talk about how awesome Bill Nye's DVDs are. If you're planning science programs, you need to stock up. Bill Nye presents concepts in funny, accessible ways, and the DVDs of each episode include clips designed for classroom use. Including a few clips in your program can be a great way to quickly explain science concepts (in a really engaging way!). Okay, so we watched a clip about how stalactites and stalagmites form and talked about how you can remember which is which. Bill Nye says that "Stalactites hold tight to the ceiling and stalagmites might reach the roof!" Another way to remember is that stalactite has a "c" for ceiling and stalagmite has a "g" for ground. After the program a grandmother told me the way she was taught to remember: mites crawl up your leg (so stalagmites come up from the ground) and your tights fall down! 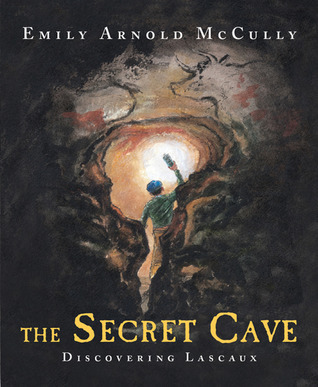 Next, we talked a little bit about how people haved use caves: for shelter, to hold school, or for ceremonies.I shared with them about a cave school in China, which I read about in the book Off to Class: Incredible and Unusual Schools Around the World by Susan Hughes. That lead into talking about the Lascaux Cave in France, where those famous ancient cave paintings are. We talked about how the cave was discovered by teenagers in the '40s and examined the cave paintings by taking a virtual tour on the Lascaux Cave website (this is a really cool website and a bunch of them were excited to continue exploring the website on their own at home!). 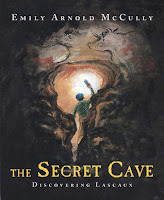 I used the book The Secret Cave: Discovering Lascaux by Emily Arnold McCully for information on the discovery of Lascaux. After we had explored Lascaux, I transitioned into talking about what kinds of animals live in caves. Again, I went to Bill Nye for a clip about the types of animals that live in caves (trogloxenes, troglophiles, and troglobites). I did a lot of internet research and made some animal cards for different types of cave organisms. I would have liked to let each child choose a card, but I had too many show up and I didn't have enough time, so I let a few kids choose cards and we decided as a group which type the animals were. After we had classified a few animals together, I explained our craft: 3-D cave pictures (also found in the CSLP manual) and let them go to it! The kids got really creative with their caves, adding in some of the animals we had talked about or creating underwater caves. The entire program took about 50 minutes and I had 26 children participate. We had advertised it for grades 3-5, but I had a couple of younger siblings and that was fine. 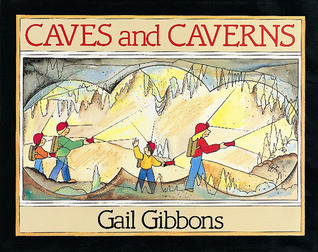 Of course, I had books about caves and earth science on display and I had a handout for them with some additional resources (including the URL for the Lascaux Cave website so they could revisit it at home). Everyone (including the librarian!) had a great time and it was a really nice group. Summer science programs? Bring 'em on!